No matter how big or small your project is, the 2019 Home Show is sure to help you find the answers you need. Whether you want to tackle tiling your bathroom, building a tree house, enhancing your turf or creating your own personal castle, the Home Show is the place to find the most qualified experts in the field of home building, remodeling and improving. No matter how big or small your project is, the 2019 Home Show is sure to help you find the answers you need. Whether you want to tackle tiling your bathroom, building a tree house, enhancing your turf or creating your own personal castle, the Home Show is the place to find the most qualified expertsin the field of home building, remodeling and improving. You might be considering countertops for your kitchen, but wondering what the best material is for your needs. Or are you looking to replace your old, inefficient furnace with a new, eco-friendly energy efficient one, but don’t know which one is the best on the market? Maybe you’re ready to build your dream home from the ground up. Or you want to create a landscape that is the envy of your neighborhood… but have no idea what shrubs, flowers, trees and grasses are best for your property. 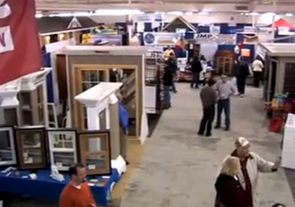 Whether you’re just considering your home improvement options, trying to improve your home’s energy efficiency, getting ready to remodel areas of your home, or are interested in building a brand new living space, the Home Show is sure to have professionals on hand to help. People under the age of 12 are FREE! Please call (315) 798-8858 for more information. Thank you to our 2019 Current Vendors! Thank you to our 2018 Past Vendors!